● Rope pendant lamp for your rustic industrial home. ● Not your average gift guide but so worth the try. ● The one thing all successful people do. 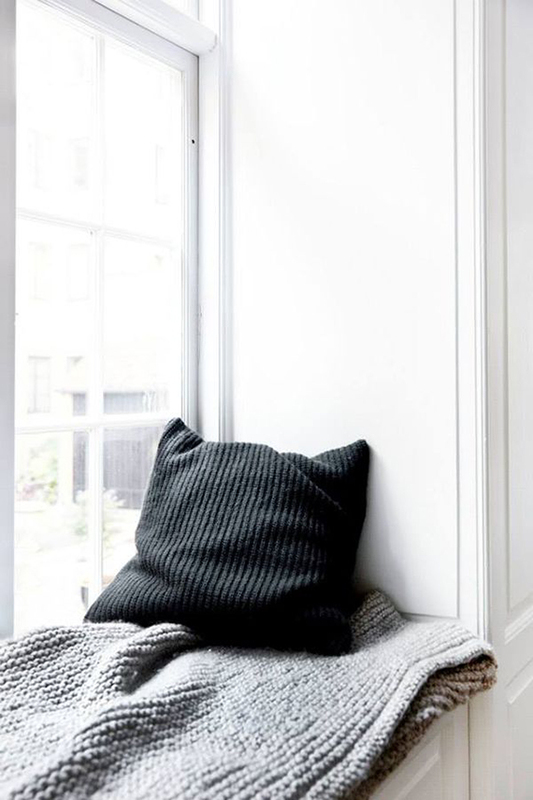 ● This chunky knitted throw by Modern Wool looks gorgeous as a Christmas tree skirt. ● Fell head over heels for this print. So want it on my wall! ● 11 things you should stop doing on social media. ● Cutest coat rack for the kids room. ● Are you guilty of procrastinating too? ● Find me on the Occa Home magazine, sharing my favorite Christmas gift picks along with other interior design bloggers. P.s. Don't forget to enter the GIVEAWAY for a chance to win 6 amazing goodies for the home, total worth $200! Image by Norm Architects via My Unfinished Home.